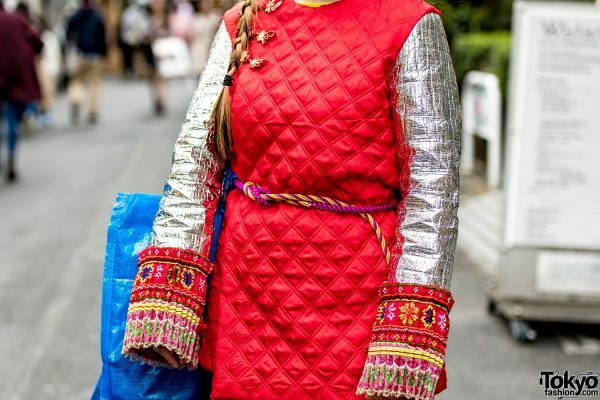 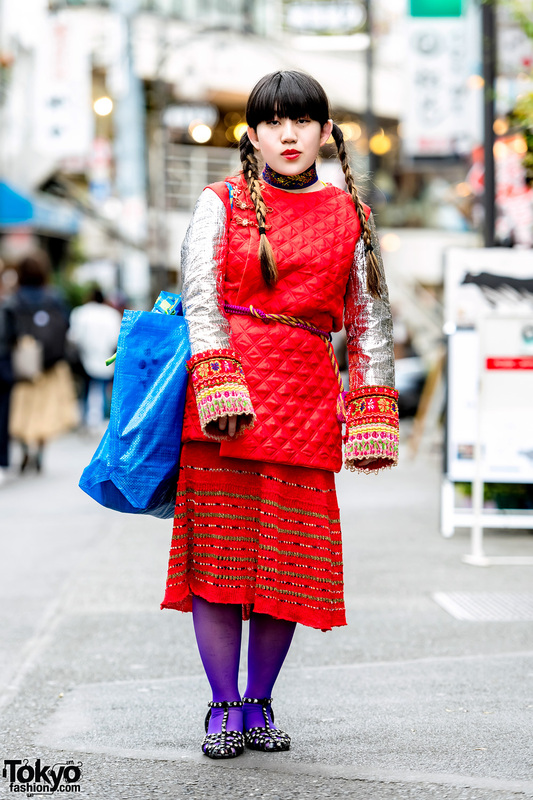 Meet Risa, a 19-year-old student whose striking red street style easily caught our eye on the Harajuku street. Risa’s look consists of a red handmade Chinese style quilted tunic top which features metallic silver extra long sleeves and embroidered floral cuffs. She wore it over a yellow top from H&M, a vintage red knit skirt with contrast stripes, purple tights, and a pair of black closed-toe strappy flats with studs from Sky Room by Bubbles Harajuku. 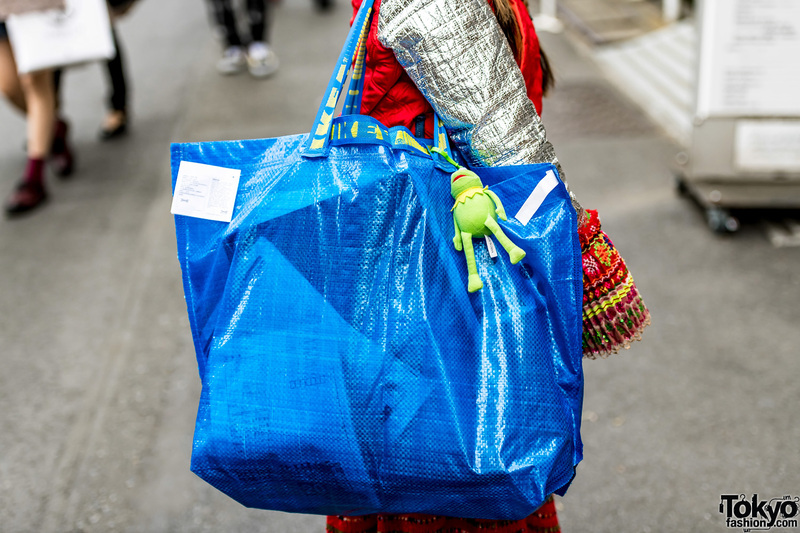 She accessorized with a leaf print choker strap, a pink-and-yellow rope belt, and she is carrying a blue IKEA tote bag with a Kermit the Frog toy keychain attached to the tote strap. 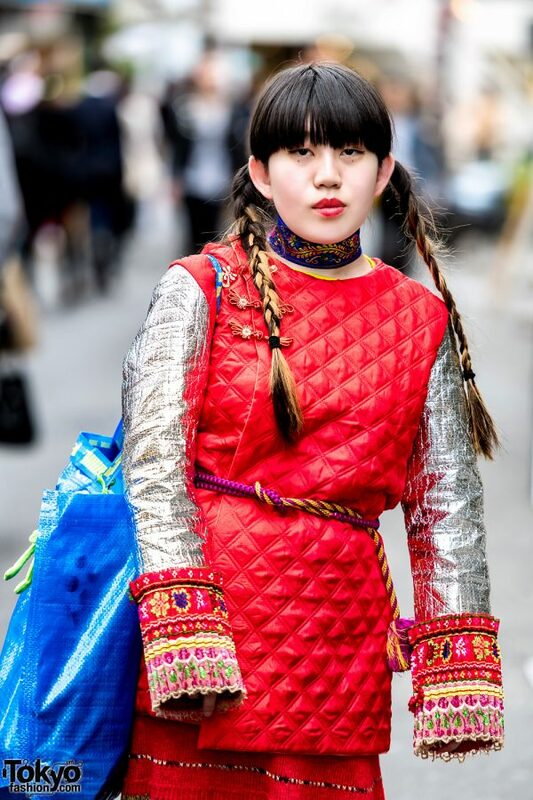 Risa lists Jenny Fax, Mimi Wade Ryan Lo and 5-Knot as her favorite fashion brands, and she likes the music of Sia, Chai, Dotsuitarunen and Aimyon. 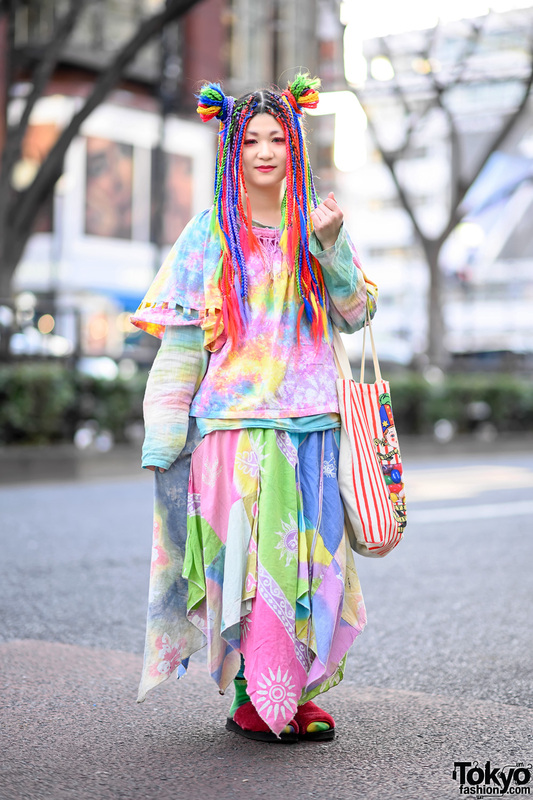 Follow Risa on Twitter and Instagram.